Exclusivity and scarcity generate a feeling of loss: loss of the freedom to obtain something. I recently applied for the Privium membership at Schiphol airport which allows me to skip the queues by using an eye scanner. Why? Well, it’s not because I thought it would make my travel a whole lot more efficient. The real reason was that I couldn’t stand the sight of other travelers passing swiftly through customs and security while I had to wait in the regular queues. I sensed a lack of freedom. Loss aversion is the term experts use to describe that we prefer not to lose things. We don’t want to lose our valuables, we don’t want to lose the opportunity of obtaining something, and we don’t want to be entitled less than others are. As opportunities are limitedly available, we feel we lack freedoms. People hate losing and lacking their freedom. Many marketers apply the principle of loss aversion with the concept of exclusivity. When something can only be obtained by those with a certain status, then many of us want that status. Other businesses apply the same principle with the concept of scarcity. By sending the message that there is only a limited amount available of something, people are prepared to pay more, and do more, in order to obtain it. 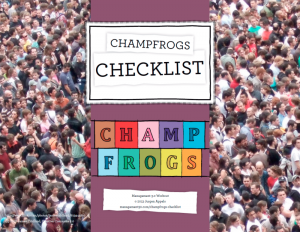 This is part 6 of a 10-part series about the Champfrogs Checklist, a simple tool for change agents to match their ideas for change with people’s intrinsic motivation and desires. The full checklist consists of Curiosity, Honor, Acceptance, Mastery, Power, Freedom, Relatedness, Order, Goal, and Status. 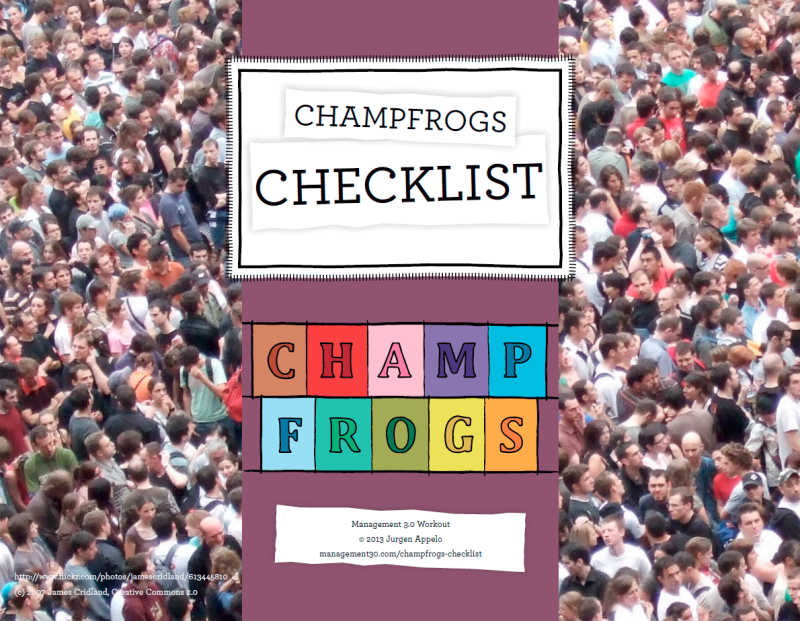 The Champfrogs Checklist article is available for download via the Management Workout mailing list. Loss aversion can also be applied by those who give something for free for a limited period of time, asking later a price. People get attached really quick to something and are willing to give in return more than they would have been willing in the first place, when they did not “have” the item in case. When you got your “freedom” by giving in to use the eye scanner, didn’t you lose something ? Many would say that you traded-off privacy for convenience. Is this true ? Do you agree ?